Dr V. Kuzinkovas is an Advanced Laparoscopic Surgeon, specializing in General, Weight Loss Surgery, Lap-band & other Bariatric Surgeries, Upper Gastro-Intestinal Surgery, Cancer Surgery & Endoscopy. He has Visiting Medical Officer (VMO) appointments at St George Public, St George Private, Sutherland, Kareena Private, Concord Private, Sydney Private and St Luke’s Hospitals. Sydney bariatric surgeons at Advanced Surgicare perform weight loss surgery for patients suffering from obesity. Welcome to Advanced Surgicare, where Dr. V. Kuzinkovas treats individuals who suffer from obesity and are seeking bariatric surgery in Sydney, Australia. We have treated many individuals with weight loss surgery & obesity. As a certified Bariatric Surgeon of Excellence, Dr. Kuzinkovas is highly skilled in a range of weight loss surgery procedures, including sleeve gastrectomy surgery, gastric bypass surgery and adjustable gastric banding surgery with the Lap Band. He also has extensive experience performing revision bariatric surgery for patients who failed to achieve their desired weight loss or suffered complications with the initial weight loss procedure. In addition, Dr. Kuzinkovas utilizes the less-invasive laparoscopic approach to bariatric surgery, as long as it is medically appropriate for the patient. Individuals suffering from obesity in Sydney, Australia often experience weight-related physical and psychological limitations. Once patients begin losing the excess weight with the help of bariatric surgery, however, they start to notice an improvement, not only in their health, but in their overall well-being as well. Many obese patients suffer from obesity-related health problems, known as “co-morbidities.” Potential co-morbidities include type-2 diabetes, heart disease, high blood pressure, asthma, sleep apnea and more. If left untreated, co-morbid health conditions can be dangerous. Fortunately, with successful weight loss following bariatric surgery, many patients are able to resolve their co-morbid health concerns. Our health center in Sydney, Australia has treatments for obesity that can really help. Suffering from obesity can also take a serious toll on a person’s psychological wellbeing. Obese individuals may have low self-esteem and suffer from depression. Thankfully, losing the extra weight with weight loss surgery can help patients live a more fulfilling life — one that includes travelling, chasing after their children or grandchildren, or simply running up a long flight of stairs or riding a rollercoaster. Leading a healthier, happier and more fulfilling life often leads to an improvement in one’s mental and emotional health. The journey toward improved health and a more fulfilling life is not always easy, but Dr. Kuzinkovas and the team at Advanced Surgicare are here to help. The bariatric team is dedicated to helping patients achieve their weight loss goals and maintain their ideal body weight so they can experience the enriched quality of life that accompanies making healthy lifestyle choices. To help patients accomplish these objectives, Advanced Surgicare offers a comprehensive weight loss program that extends beyond the operating room. 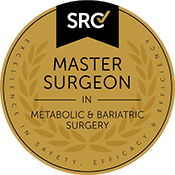 Each Sydney bariatric surgery patient receives a thorough preoperative screening, detailed information about the procedure, exercise education, nutrition advice, a structured postoperative follow-up schedule and psychological counseling, as needed. You have lived with the physical and emotional burden that being substantially overweight can cause long enough. Don’t wait any longer to reclaim your life! To schedule an appointment with Dr. Kuzinkovas or to learn more about your weight loss surgery options, contact Advanced Surgicare Clinic. How much can bariatric surgery cost in Sydney, Australia? For more information please contact us by calling the clinic at 1300 551 533. Our top-quality care for weight loss surgery patients is shown through the numerous positive reviews and testimonials that our weight loss surgery center has received. While most of our patients reside in Sydney, others visit us from other areas of Australia and beyond.